I’ve been hearing/seeing rumblings across the internet about the Walking Dead lately. Stuff like: It’s not as good as it once was. It’s this. It’s that. Well…let me tell you something: if Sunday night’s episode, “Spend”, didn’t change all that, I don’t know what possibly will. Daryl gets out into the world (presumably with Aaron) on his newly fixed bike, Rick is making his rounds and it seems like maybe…maybe…everyone is settling into their new roles. Even Carol seems to have gotten herself a new friend, in the way of Jessie’s son, Sam. I guess maybe threats don’t work so well on Sam (that’s what we in the biz call foreshadowing). Either that, or Carol makes some really fine cookies. Could be both. As for the rest of the crew, it’s back to work. Abraham joining the scavenging /construction crew and Glenn, Noah, Tara and Eugene heading out into the world to track down parts for the community’s struggling power grid with Aiden and Nicholas leading that charge. Everything goes as well as can be expected, at least initially. The little group finds the supplier warehouse and manages to get in with little interactions with the walkers. Once they get into the warehouse, that’s when things get hairy real quick, courtesy of Aiden (the community leader’s son). Man…did he panic. Firing at a militarized walker, and not being able to put him down because of all the body armor. That is until Aiden hit one of the grenades still on the walker’s body. Sure, it killed the walker, but the ensuing explosion? That made things infinitely worse. Injuring Tara, allowing more walkers in the warehouse and impaling Aiden in two places on a metal rack. It just gets progressively worse from there. Rather than leaving him for dead, or at least putting a bullet into his head, Glenn, Noah and Nicholas attempt to get Aiden off the racks. No good. Oh, they tried, but short of a miracle that wasn’t coming, Aiden wasn’t coming off that rack, and the three of them take off, leaving Aiden to be consumed alive by the walkers. In one of the scariest moments of the show, Nicholas, Glenn and Noah get themselves stuck in opposite sides of a revolving door. Between them and the sweet freedom of the outside were a ton of zombies, blocking off the entrance and the exit to the revolving door. Listen, I don’t like revolving doors in non-zombie life. I’m always afraid I’m gonna lose a limb or something. But to be stuck like that? With the only thing between you and starving zombies is a quarter inch of glass? No thanks. Glenn came up with a plan that required Nicholas help on the other side. Nicholas freaks out though and, when the moment arrived, he hightailed it out of the revolving door. Leaving Glenn and Noah exposed for just a moment too long. We watched in horror (along with Glenn), as Noah was torn and eaten alive right in front of our collective faces. I can’t say that I was the biggest fan of Noah. But, I have to admit, over the last few weeks he was kinda growing on me. Especially with the effort he was making at the beginning of the Sunday’s episode. Just a terrible way for him to go. And Glenn? If he isn’t permanently traumatized, then god bless. Back closer to the safe zone of the community, Abraham had some troubles of his own working on the scavenging committee. The group, loading up parts for the wall, completely lost it once the walkers showed up on the scene. It was literally every man for himself, leaving even the look-out to die. Seriously…how did the folks at Alexandria’s community manage to survive as long as they have? Abraham was having no part of it though. He went right into action, helping the look-out into the cab of the backhoe and taking the zombies on himself. Seeing him act out of selflessness, the rest of the scavenging crew came to their senses and helped put the rest of the zombies down. It’s all business for Abraham, though. Once those walkers were dispatched, it was right back to the work at hand of loading panels up for the wall. 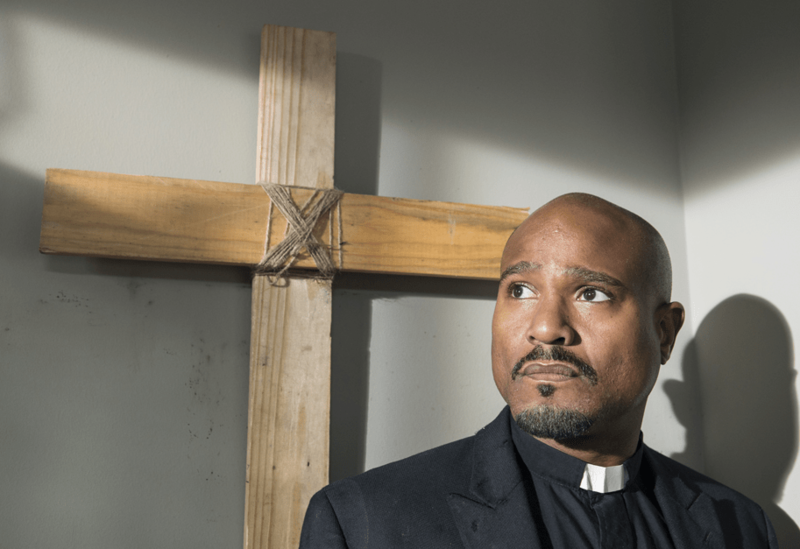 With two episodes left in the season and Rick realizing how bad the situation is with Jessie and her husband, the death of Aiden and Gabriel’s tirade, that sleepy little community in the middle of the zombie apocalypse is just ripe for a rude awakening. 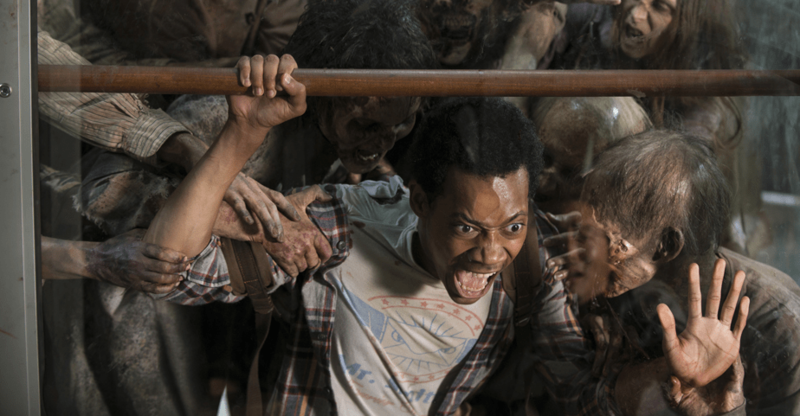 If Sunday's episode, Spend, teaches us anything it's that there is no such thing as "safe" in the zombie apocalypse. And fooling yourself into think that any place (or thing) can be safe is just an invitation to wake up dead."